The Hungarian guitarist-composer Dávid Pavlovits began to play the guitar at the age of 17. He played the guitar only three years when he has won a prize at an international guitar competition (Zory, Poland). Two years later he won 1st prize at Europe’s oldest guitar competition, at the Esztergom Guitar Festival. The leading Polish daily newspaper, the “Gazeta” described him as a personality “close to a genius”. He performed in over 30 countries, including a most successful recital at the Carnegie Hall in New York. He was awarded Artisjus-prize for his activity in contemporary music. He attended the guitar and composition class of the Franz Liszt Conservatory in Szeged. The most important influence during his studies in Hungary he received from the professor Ede Roth. He graduated at the Darmstadt Academy of Music in guitar with distinction, later he has also graduated the Gutenberg University in Mainz and the Musikhochschule in Munich. He took classes with the following masters:Tilman Hoppstock, Olaf Van Gonnissen, Walter Schumacher, (guitar), Lajos Huszár, Heinz-Wieland Kurz (composition), Grigory Gruzman (piano). He has also attended Leo Brouwer’s master classes which played an important role in his compositional development. Since 1993 he has been a laureate at several music competitions, such as in Zory, Poland (distincion), the 13. Esztergom International Guitar Competition (1st prize), the Budapest Music Contest (2nd prize),International Guitar Competition of Crete, Greece (2nd prize) and the Viareggio Competition of Composers (distinction). He received the “Zoltán Kodály” Stipend for composers in 1999. He has been teaching guitar, music theory and music history since 1996, recently he is teacher at the Faculty of Music of the University of Szeged. His music seminars at the German Institute presented topics like Ludwig van Beethoven’s piano and orchestral music and the musical background of Thomas Mann’s Doktor Faustus. 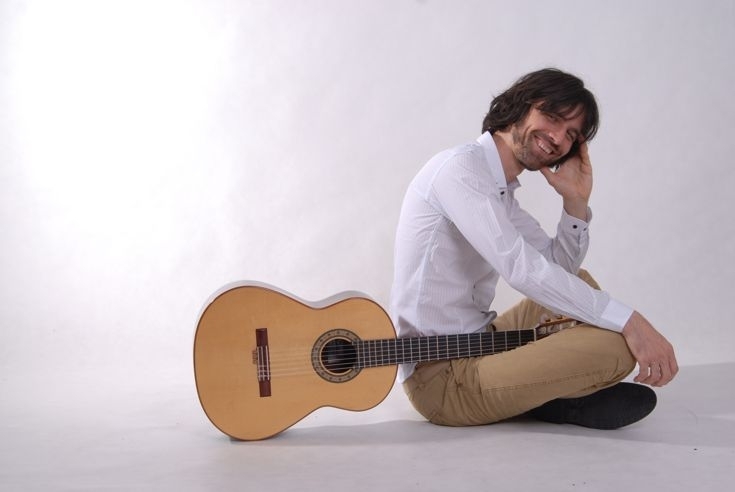 He has obtained PhD title in 2006 at the Cluj Academy of Music (Romania) with the thesis: „Albéniz, Granados and Segovia: the impact of Spanish romanticism on the evolution of the guitar”. He is also active as a composer, he has published a great number of guitar pieces in various magazines and publishing companies. His 11 Amethystes for guitar edited by the publisher Ricordi & Co.(the editor of Verdi’s operas) is played throughout Europe. The Fingerprints, inspired by Hungarian folk music is the first cycle of that kind created for guitar. The musical language of his compositions contains often polytonal and polyrhythmic elements. His Stormbird Sonata (edited by Doberman-Yppan/Canada) was greatly inspired by the Zuu poem of the Babylonian mithology.